Synopsis: (from Goodreads) In this rip-roaring picture book, readers are invited to the party of the year, as all monsters large and small throw the most outrageous, most bodacious bash of them all–the Madcap Monster Ball. jangle chains and rattle doors. to the Madcap Monster Ball! 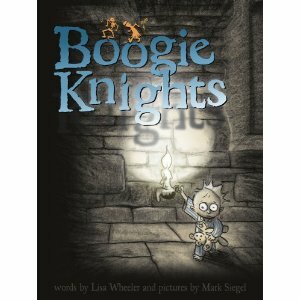 HERE is a really interested video for anyone interested in the making of Boogie Knights. Lisa Wheeler and Mark Siegel talk about creating this delightful book. Resources: I didn’t find resources on the Internet, but I have a couple of suggestions. There are several different dance moves mentioned in the story. Have children pantomime the dance moves. Have younger children use the template HERE to make a knight helmet. Older children might want to make an origami helmet. HERE are folding instructions. The knights all have unique names. (I mention these in the next part of my review.) Older students can talk about the wordplay used in the names and how the illustrations carry this out. Why I Like This Book: The rhyme is sublime! It makes you want to party and boogie! There is plenty of pleasing alliteration which makes this book a delightful read aloud. Wordplay abounds! Just look at the knights’ names—Sir Veillance, Sir Prize, Sir Loin, Sir Round, Sir Cumference, Sir Ender, and his twin, Sir Vivor. See??? Wordplay abounds! You can tell from the cover image that the illustrations are perfect for a Madcap Monster Ball…plus there is a bonus story in the pictures that adds another element to the story. You must read ASAP! Susanna Leonard Hill features Perfect Picture Book Friday on her blog. This is a wonderful resource if you are wondering what books to give as gifts, needing material for a lesson, or just looking for a great book to read. Click on the Perfect Picture Book Friday tab and browse to your heart’s content. Yippee! Perfect Picture Book Friday is back in full swing. Last week, I posted about how fall is my favorite season. 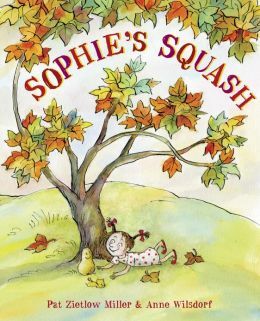 Today, I am posting about Sophie’s Squash, which is WAY HIGH on my list of favorite picture books. Synopsis: (from publisher’s website) On a trip to the farmers’ market with her parents, Sophie chooses a squash, but instead of letting her mom cook it, she names it Bernice. From then on, Sophie brings Bernice everywhere, despite her parents’ gentle warnings that Bernice will begin to rot. As winter nears, Sophie does start to notice changes…. What’s a girl to do when the squash she loves is in trouble? Opening: One bright fall day, Sophie chose a squash at the farmers’ market. Her parents planned to serve it for supper, but Sophie had other ideas. HERE at Happy Birthday Author, Eric VanRaepenbusch and his kids make leaf prints with squash leaves. I didn’t see other resources for this book, so I came up with some myself. I think it would be all kinds of fun for a child to make their own squash friend, then give it a name and marker-drawn face just like Sophie did for Bernice. If real squash aren’t practical, a paper puppet squash friend glued to a tongue depressor would be the next best thing. Then choose some or all of these activities for children to do with their squash friend. Have your squash friend join you for another reading of Sophie’s Squash and act out parts of the story as it is read. Give an oral or written report about your squash. Include these things in your report. Tell your squash’s name. The book named activities that Sophie did with Bernice. Name activities that you enjoy doing with your squash. When Sophie made a soft bed of soil and covered Bernice, she chose Bernice’s favorite spot. Where would you make your squash’s bed of soil? In the book, Sophie’s dad brings home another pet for Sophie to cheer her up while Bernice is sleeping in the soil. Name three pets that you think would have been more exciting to Sophie than Ace. Tell why you think they would be more exciting to Sophie. Sophie drew pictures of Bernice and hung them on her bedroom wall. Draw a picture of your squash friend and hang it in a special place. Why I Love This Book: I have mentioned in some of my other reviews that there are books that I want to hug after reading them. This is one of those huggable books. The story captured my heart in a way that made me want to head straight to the supermarket and buy a squash for every child I know. I mean…I’m in love with this squash named Bernice and every child needs a squash friend of their own!!!! Pat’s text paints a relationship between girl, squash, and parents that is endearing and charming. I laughed out loud at Sophie’s parents’ attempt to convince her to have Bernice for supper before she rots. Funny stuff, folks! The illustrations are pure delight. The characters’ expressions are priceless and perfect. A truly Perfect Picture Book! Fall is my favorite season. 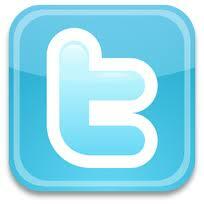 For me it has always held the excitement and anticipation of a new beginning because of the start of the school year. In fact, my years kind of feel like they start in September since I have spent most of my life on a school-year calendar. After going through grade school, middle school, high school, and college, I taught school for twenty-six years. Every fall, for all those years, I went to school. Even though I’m retired from teaching, my mind still works on a school-year schedule. Last week, I was excited as I pictured yellow school buses, pencils, erasers, tablets, crayons, markers, backpacks, decorated halls, and the smiling, excited faces of students. Students sitting at desks ready to learn from the teachers who have dedicated their lives to sharing knowledge in creative ways. A huge part of this “school-beginning” picture I have in my mind has to do with books. Classrooms full of books. Libraries full of books. Books everywhere. Books to be read and enjoyed. Books that become a part of memories. For years, I have dreamed of having of books I have written in those classrooms and libraries—to be read and enjoyed, to bring smiles, to bring “Read it again!”. But dreaming took me nowhere until I was willing to get get to work—the type of hard work goes into making any dream come true. A few years ago, I started working hard to reach my dream. Writing hard to reach my dream. Now, that’s what I do. I write children’s books. And this September is especially exciting for me. I’m getting closer to making my dream a reality. Closer to getting published. Closer to having books that I have written sitting in those classrooms and libraries. Why is this September especially exciting? I now have an agent. April the 29th, I signed with Tricia Lawrence of the Erin Murphy Literary Agency. Our author/agent relationship is only a few months old, but I already know she’s wonderful. I could tell you all the ways she’s wonderful, but I know I would miss some. Let me just say that she when she shows up, her backpack is full of all the right supplies. Very well stocked. I feel lucky to have her, and one very important reason I feel lucky to have her is because she makes me feel like she’s lucky to have me! Fall is my favorite season, and this may be my favorite fall so far. Technically, this isn’t a “new beginning”, as I’ve already begun my writing journey, but it feels like I’ve gone on to the next grade in school. I’m full of excitement and anticipation for what this year will bring! 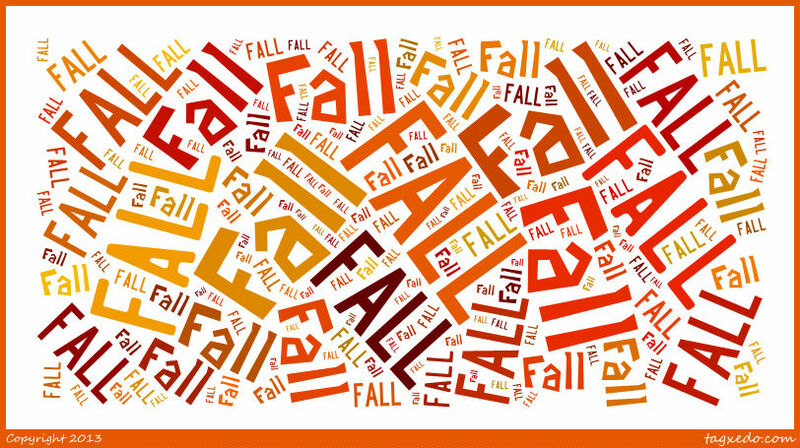 Happy fall to all my readers. I hope you, too, feel excitement and anticipation as you move forward on your journey…whatever it may be.